Along with The Economist building in London, designed by Alice and Peter Smithson, The Seagram building in New York, designed by Mies van der Rohe, is one of the most interesting examples a 20th century office building that creates quality public space in the city center. 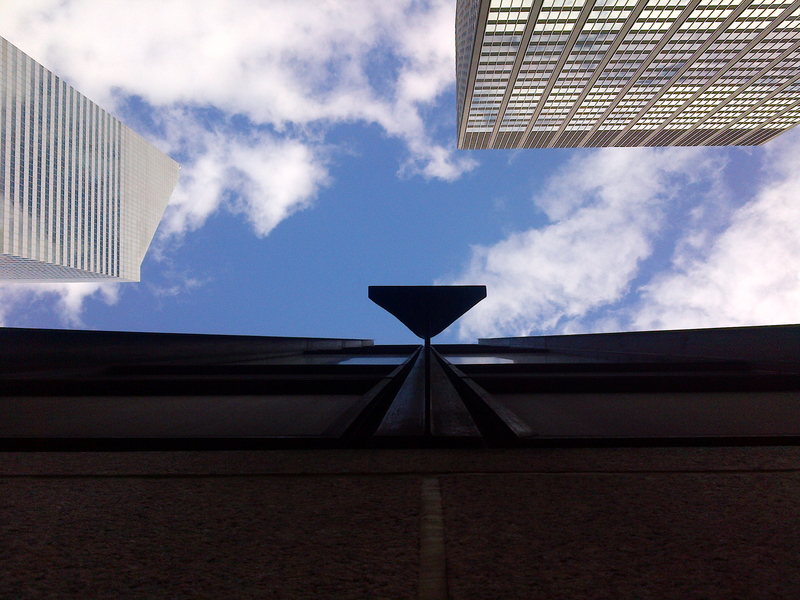 Mies’ “less is more” is perfectly reflected in this piece of land in Manhattan. Through his gesture of putting the volume far back, away from the main avenue, he “presents” the city with the rest of the space. This distance though, makes it stand “out of the crowd”. The transitory space between the avenues and streets which surround the Seagram building is a sort of “prologue” and “epilogue” of one’s workday in the office. It is – together with other few examples, Rockefeller being one of them – the most horizontal skyscraper in New York. Instead of being a I-shaped or 1-shaped space (both physically and metaphorically) it is L-shaped (maybe for “Ludwig”). Mies understood that, just like the rest of this wildly dense city, there needs to be a balance between stacked interior space and flat exterior space, between vertical and horizontal, between the ego of the architect and the users of his/her designed reality. And that’s also part of the reason why this building is just one of a kind.